Nursing staff at Duke Raleigh Hospital were honored at a ceremony Thursday for their commitment to giving exceptional care. Two nurses, Sara Rayner, RN, and Jonathan McGee, RN, were honored with the DAISY Award for Extraordinary Nursing, an international program that rewards and celebrates the skillful, compassionate care nurses provide every day. By her nominators, Rayner was called a “bright light” during the night shift who not only took time to explain medications and troubleshoot side effects for one patient, but went so far as to bring a handmade hat to provide some extra comfort. “Duke is so fortunate to have Sara represent their hospital. She is definitely a shooting star,” the nominator wrote. 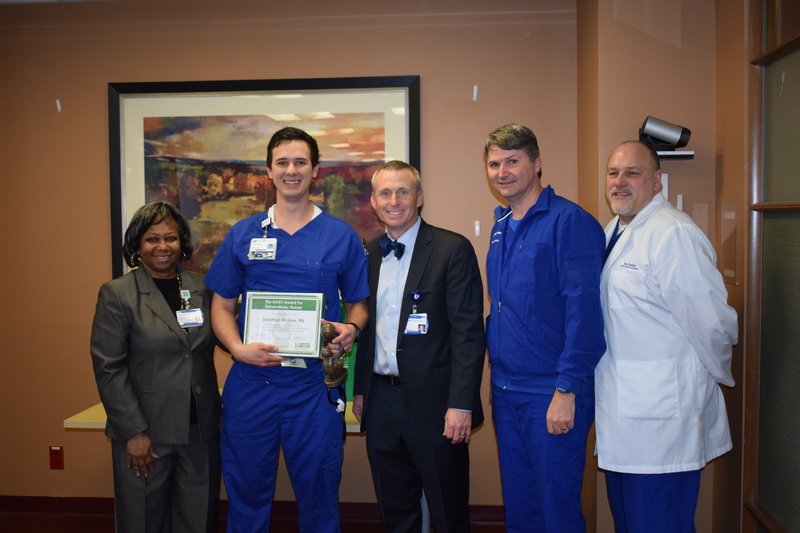 Jonathan McGee also went above and beyond—even asking to stay on shift longer to see to patient, according to his nominator. A third Duke Raleigh staff member, LaShana Whitfield, was presented with the Caring Award honoring nursing assistants. 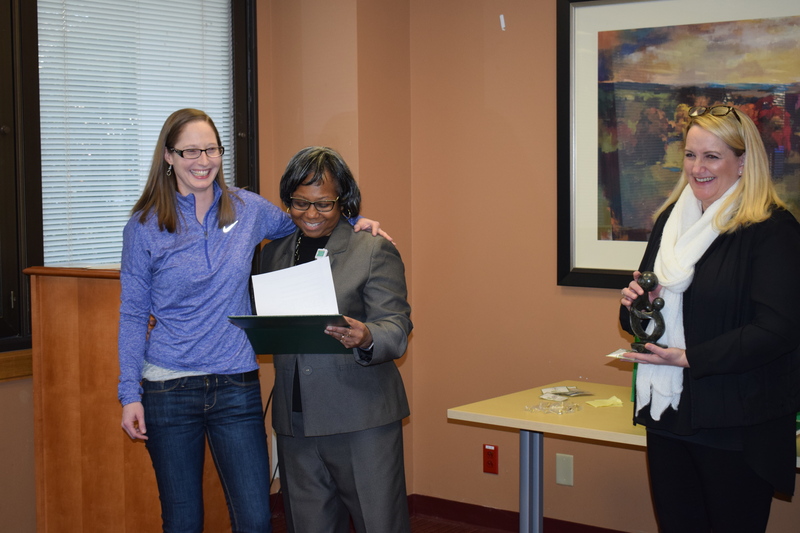 Her nominator called out the kindness, compassion, and loving care she provided as reasons to recognize her outstanding service.